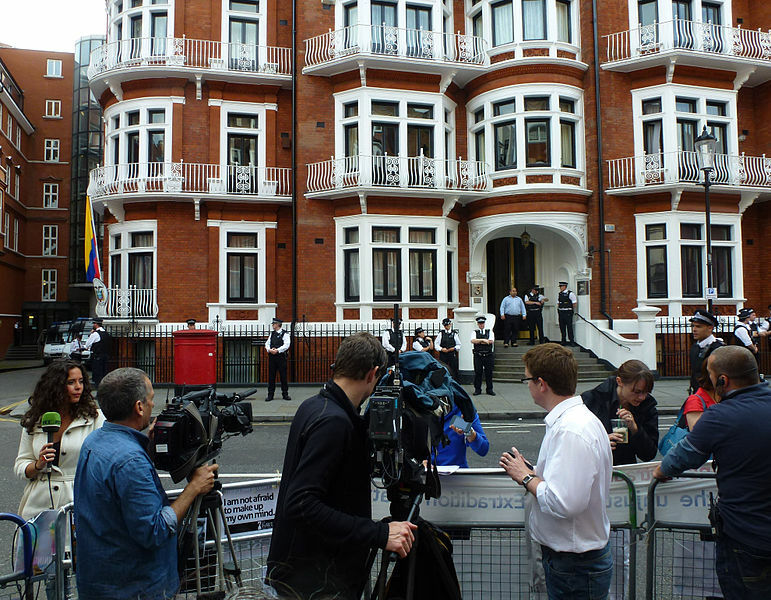 New threats to the safety of Julian Assange, to be disclosed shortly by Consortium News, has prompted an emergency meeting of his supporters. An alarming series of occurrences have unfolded this week that indicate serious, urgent threats to the physical well-being of WikiLeaks publisher Julian Assange. Those close to the publisher are swiftly moving to address the recent escalations. At the meeting, details of these new threats to Julian’s life will be presented, along with the unveiling of a new action plan to secure and protect his life, human rights, and freedom. A special message from Julian’s mother, Christine Assange will also be broadcasted. Julian Assange has been arbitrarily detained in the UK for eight years, six of which he has spent as a political refugee in Ecuador’s embassy in London. The United Nations Working Group on Arbitrary Detention has ruled Mr Assange should be immediately freed and compensated. The Inter-American Court of Human Rights has ruled that the UK must facilitate safe passage for him.